The objective of my Current Designer course project was to pick a designer's most recent runway collection from Style.com and choose our favorite 6 looks to create a board that has complementary elements. 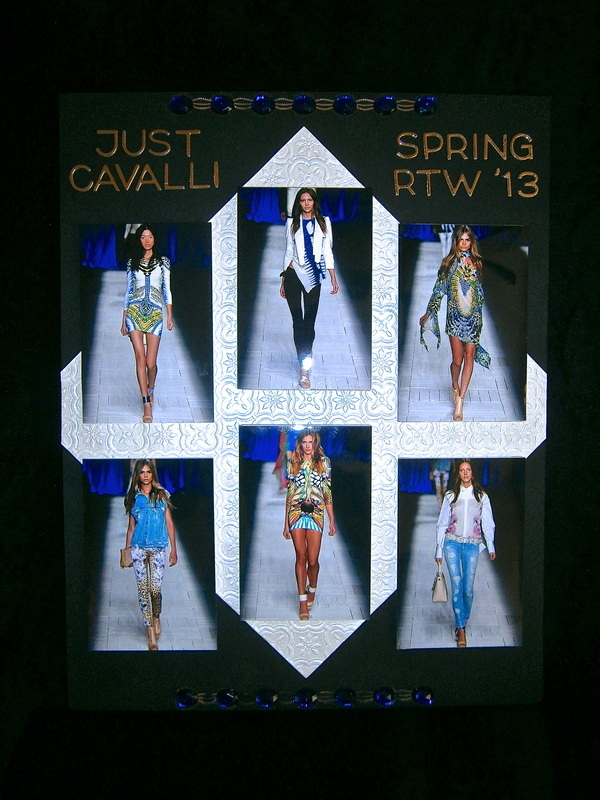 Roberto Cavalli is my favorite designer and I chose his Spring Ready-To-Wear 2013 Just Cavalli line for my look board because this line specifically captures classic Cavalli elements. Implementing his longtime signatures such as vibrant color combinations with jungle prints, flower motifs, jaguar spots, python, and distressed denim. *Below the photograph of my board is a slideshow to view the 6 looks in more detail.